This is a window into your target market. If you find that hardly anyone is searching for “cooking class,” see if they’re searching for related terms and if you can adjust your content. If not, it may be that your product or service isn’t as popular right now—but you can probably use the related search data to determine how to update or reframe your product or service so it appeals to the current audience. 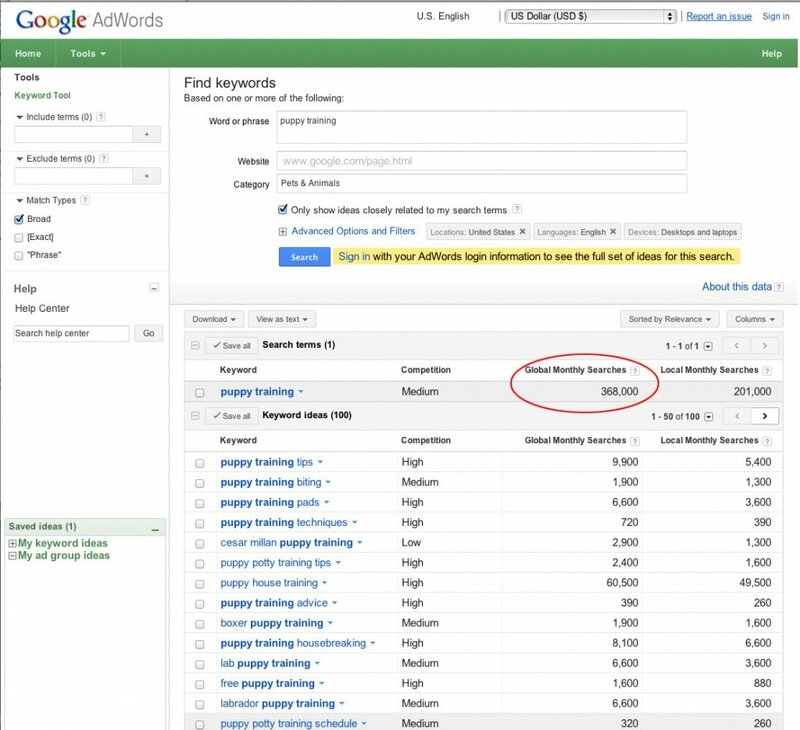 Keyword research is typically done through a tool such as SEMrush’s Keyword Magic, Keyword Discovery, Keyword Explorer, and Google AdWords’ Keyword Planner. These tools have access to search history data so they can tell you how many searches happen regularly for the term you type in. The most helpful of these tools also provide suggestions for wording variations or related topics, and even insight on opportunities for content marketing, such as which topics are highly searched but have lower levels of competing content. Keyword.io: While this is a paid tool, there is a free version that has some banner ads and basic functionality. Google’s “suggest” function: Just start typing a phrase into Google, and watch the drop-down box that appears as you type. What phrases come up? This can give you a hint at what is trending as far as search phrases. While not necessarily quantitative research, it can often point you in a good direction. There will be more in-depth posts during our SEO 101 series, but these tools can get you started in determining how your target audience searches for information online.